The DNS or Domain Name Server is a set of numbers. It is assigned by the Internet Service Providers (ISPs) to help you connect to the Internet. The DNS is important as it helps convert the domain name into a an IP address. Then it helps connect your ISP and open pages over the web. In order to improve the speed of your Internet, one can change their default DNS to Google DNS. In the following tutorial, we shall see how to setup Google DNS server on your computer. The basic function of an ISP is to provide the users with Internet. So, they try to add as many DNS’s to one range available with them in order to make more money. Whenever you connect using your ISP, you will be assigned a dynamic IP address. This leads to a slow Internet speed and many times connectivity issues. When you choose Google DNS, it is a public DNS server. They use anycast routing and send their users to the geographically closest data center. Thus, with the help of the users location, the user is directed to a data center that is nearest to them. Thus, allowing them access to faster Internet speed and better connectivity. How to Change Default DNS to Google DNS? By changing the default DNS provided by your ISP to Google DNS, you can gain maximum bandwidth limit and better speed. In case you are not happy after the change, you can always revert to the original DNS. Make sure you write down the current server addresses and settings. This will help you go back to your original settings after the change to Google DNS. Go to Network and Internet > Network and Sharing Center > Change adapter settings. Choose the connection for which you need to change to Google DNS. For Ethernet connection right-click on Local Area Connection>Properties. For wireless connection, right-click Wireless Network Connection>Properties. Choose Networking tab and go to This connection uses the following items. Choose Internet Protocol Version 4 (TCP/IPv4) or Internet Protocol Version 6 (TCP/IPv6). Click Properties. Click on Advanced and choose DNS. Write down the IP addresses, if any, for future reference. Remove them from the window. Click OK and select Use the following DNS server addresses. If any IP addresses are present in Preferred DNS server or Alternate DNS server, note them down. Enter Google DNS server IP address in place of the ones present. Restart the connection selected in step 3. Test if your Internet is working smoothly. 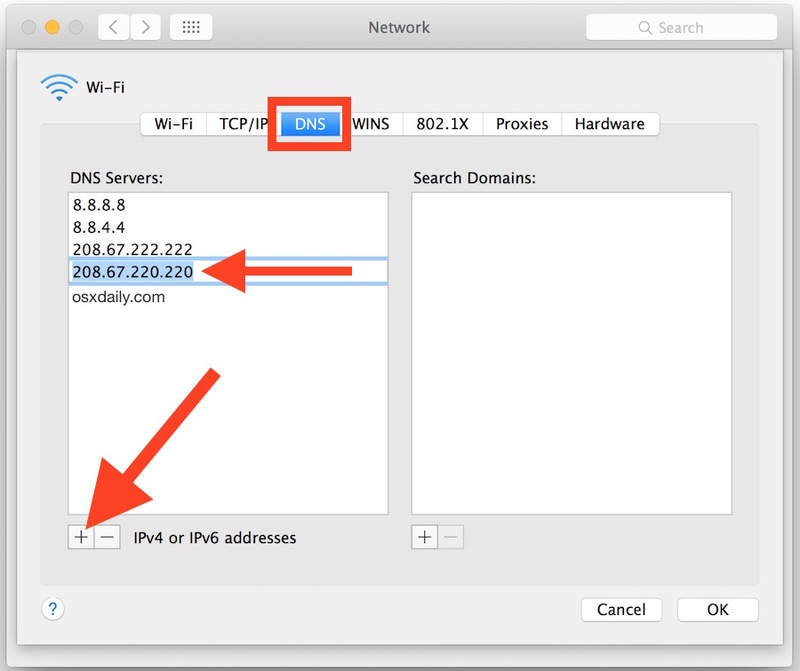 In case it does not or you are not happy with the results, you can always enter the default IP addresses you noted down in place of the Google DNS server addresses. Just follow the steps above and do the needful. This is all about how to setup Google DNS server on your computer to get better connectivity and Internet speed.